Franklin Lakes, NJ /PRNewswire/ - BD (Becton, Dickinson and Company) (NYSE: BDX), a leading global medical technology company, today announced the U.S. Food and Drug Administration has granted premarket approval for the Venovo™ venous stent, the first stent indicated to treat iliofemoral venous occlusive disease, which is obstructed or narrowed blood flow specific to the iliac and femoral veins located near the groin. 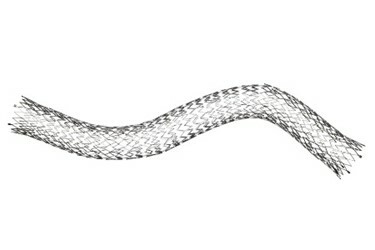 "The unique attributes of the Venovo stent make it particularly well-suited to treat iliofemoral occlusive disease," said Dr. Michael Dake, University of Arizona and the principal investigator for the Venovo IDE trial. "Most importantly, it is purpose-built for application in veins, and engineered to address the special challenges of venous lesions that are very different than those posed by arterial narrowing." "The FDA premarket approval of the Venovo venous stent represents a significant advance for interventionalists treating iliofemoral venous occlusive disease, an underrecognized condition," said Steve Williamson, worldwide president of Peripheral Intervention at BD. "We designed the Venovo venous stent in collaboration with clinicians to enable them to treat both post-thrombotic and non-thrombotic lesions. Clinicians will now have access to the broadest range of stent sizes in the U.S. for these difficult-to-treat lesions." 1Foley T, et al. (2015). Iliofemoral Deep Vein Thrombosis, Available online 24 November 2015. 2Al-Nouri O, Milner R. May-Thurner Syndrome, Vascular Disease Management 2011; 8(3).